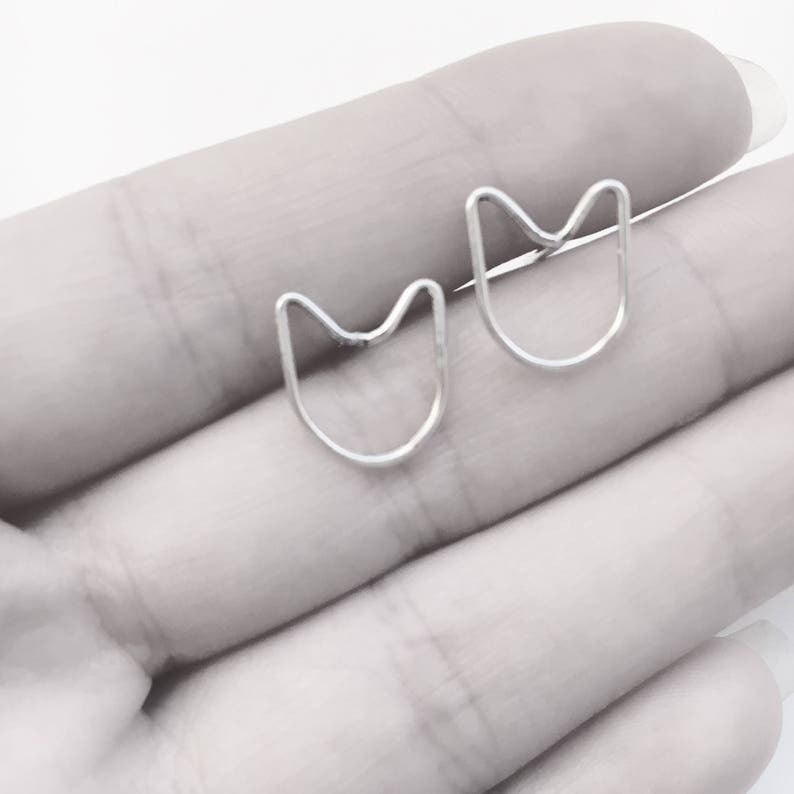 Dainty cat lover earrings. Silver plated wire is hand worked to form tiny little cat head silhouettes. These stud earrings are such a great gift for any cat lover or crazy cat mom. They are lightweight and easy to wear. A most purrrfect accessory.